Swift Proofreaders is one of the leading online editing and proofreading firms. Our company's primary objective is to provide users with swift, proficient, and affordable editing and proofreading services. 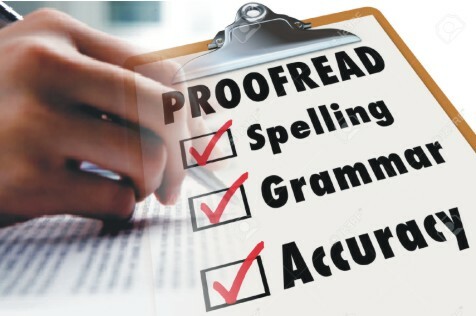 In addition to editing and proofreading, Swift Proofreaders also offers consultation services. We are an associate company to Swift Journals, an open access online journal and article publication firm. We have the practical knowledge and skills needed to improve your manuscript in clear and concise English that is error-free and ready for submission to reputable journals. Good day and thank you. I acknowledge the receipt of your translation. Very good. I will be back to you later. Really pleased - it's amazing how long you can stare at something and not be able to improve it! This is a great service which takes some of the sting out of agonizing over the query letter. Your editing was clearly a well thought out approach to improving the quality of the paper. I appreciate all the effort and input. Thank you. Thanks very much! Your points served to confirm my own suspicions of where my manuscript needed to be improved and I very much appreciate the helpful suggestions you offered. Well... Great service. Very fast response. I will surely use you in the future and recommend to other people if I get a chance. It is not easy to find people who will do this kind of job, professional, affordable and fast like you. Is because, our careful proofreading and editing services provide clear, error-free materials that let you present a professional image. Whether you are a student, author, small business, non-profit or large corporation, your company's messaging is key to gaining and retaining customers. We take pride in the quality of our products and services. Our company has designed and implemented a quality assurance process that is unrivaled in our industry.